Floyd is located in Floyd County in the Blue Ridge Highlands region of Virginia. It is bordered on the southeast by the Blue Ridge Parkway. It is a haven for outdoor recreation and site seeing along the Parkway. 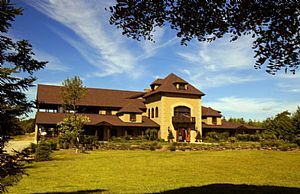 The town is home to Chateau Morrisette one of Virginia's premiere wineries.